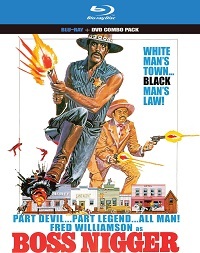 Found it was about time to see a blaxploitation-western crossover. And this is the perfect start. Two black bounty hunters get the chance to become sheriff and deputy in a small town in the wild west. They shake up things and set up some new laws. Everybody calling them “niggers” gets fined. To restore law and order they have to fight some badass haters, like a corrupt and incompetent major and a whore-using villain with a wife-beater moustache. 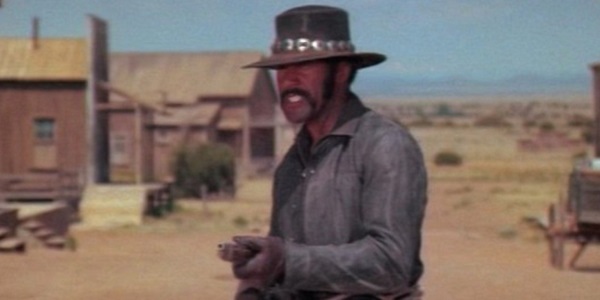 Blaxploitation-westerns didn’t hit it off as good as the spaghetti-westerns or the ordinary crime/action related blaxploitation. It’s a decent effort, but maybe a bit too tame for my taste. Williamson (who also made the script) is tough as nails and a joy to watch, as the self-confident sheriff. A cool and funky soundtrack, but would probably work better in an up-to-date 70’s setting. Entertaining flick all the same and worth a watch!